Hey there! It’s been a hot minute since I posted a college post, I’m talking like over six months. I guess when you’re not in college, it’s hard to think about posting college stuff. 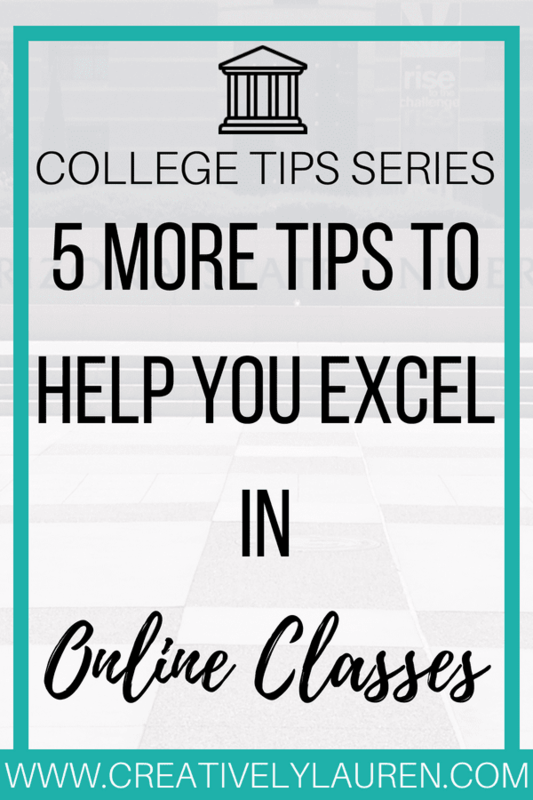 But, when I look back on some of my popular college posts, my Five Tips to Help You Excel in Online Classes post is one of my most popular ones. I figured that it was probably time to bring a part two to the blog. 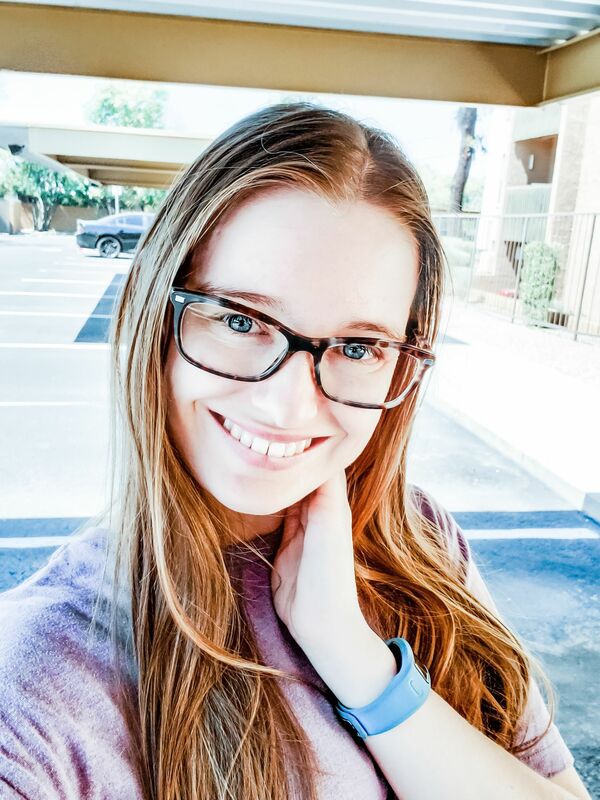 So, I’m here now with part two of my popular post! Online classes are becoming even more popular than when I first wrote about them two years ago. Although I never took another one after that post, two of my managers have taken online classes and some of my coworkers have talked about taking them. So, with that being said, here are five more tips to help you excel in online classes! Remember that textbook that the teacher assigned and you just scoffed off? Contrary to popular belief, you actually do need it. Although most of the teaching in online classes is done through PowerPoints, don’t be surprised when there is a question on the test that is not covered on any of your slides. It’s usually in the textbook, and there will be questions on tests that are in the textbook and not on the PowerPoint. So it really is important to get the textbook that is assigned to the class. Online classes are just that, online. They rely solely on your computer and your internet connection. If one of those things fail on test day, or assignment due day, make sure you have another way to turn things in. Assignments are usually easier, you can upload your assignment to Google Drive and turn it in by phone. When it comes to taking a test, you may have to go to your nearest public library or borrow a friend’s computer if yours fails. Regardless of the plan, before the semester begins, make sure that you have a plan B in place so if you need to use it it’s already ready to go and you’re not freaking out about it. I highly suggest getting a planner, even if it just a monthly planner. For me, I remember things better when I write them down. You don’t even have to get a full planner, you can get something like an assignments tracker, just something to write your assignments down in. Regardless of which route you choose, there definitely needs to be a planner involved. It’s easy to remember that you have online assignments to do when they are written somewhere like you would for in-person classes. Check out our college planner sheets in our shop. A lot of times, online classes can be general education classes that you have no interest in, or because of the online format, they’re just not holding your attention. This can make it hard for you to stay engaged. Quizlet has flashcards and answers for a wide variety of subjects. They can be found with a quick Google search, and you can usually find them by assignment on the site. However, I do not suggest using it during test time. Most tests are timed and now require a “lockdown” browser. You do not want Quizlet to be your crutch, just a tool to help you study. Online classes give you the prime opportunity to slack on the work. There is no physical class to attend and we usually think the work is easier. (It’s actually not.) Plus, we get busy with our other classes, jobs, and our general life. All of this combined usually leads students to leave online class assignments to the last minute. This is a guaranteed way to turn in subpar work. Online class assignments need just as much time as your in-person classes. I hope you enjoyed this part two post! If you want more college resources, head over to the College Resources page.